Are you looking to produce a video/film in the United Kingdom? From video shorts to films, TV ads & documentaries, NEEDaFIXER UK has you covered. NEEDaFIXER UK has exceptional UK coverage for all film / video / documentary requirements from planning to production. 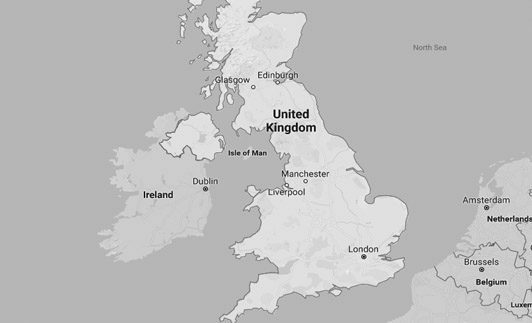 From London to Newcastle, Edinburgh to Plymouth, we cover the entire UK. Our substantial network of film fixers, location scouts, assistant directors, directors across the United Kingdom makes NEEDaFIXER a popular choice for businesses looking for superior production services. Full of lively cities, charming small towns, and pretty countryside, it’s no wonder the UK has a thriving film industry. 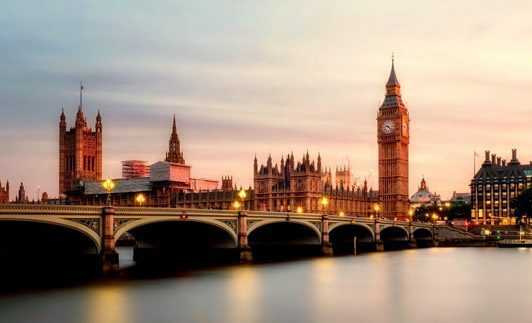 London is one of the world’s most recognisable cities, with a skyline dominated by the modern Shard and the iconic Big Ben, and cities such as Cardiff and Manchester are increasingly being used in major productions. Filming in the UK gives you a huge choice of locations, whether you need remote and unspoiled areas, or buzzing cities. NEEDaFIXER UK have a huge network of professional contacts across the country, and can ensure you have a cast and crew ready to shoot from day one. Whether you need a technical team such as camera operators and sound technicians, make-up and hair artists, or producers and directors, we can help. Because the UK is a diverse country with lots of languages spoken, we can help find cast to meet all sorts of requirements, and can send you headshots and showreels before you arrive. In addition to finding the right people, we can help you source the right filming equipment in the UK, whether you need a single camera, or a full kit. We also make the logistics of filming so much easier, whether you need to accommodation for the entire cast and crew, or transport to remote locations, we have the local knowledge to ensure things run smoothly. In general, permits for filming in London and the rest of the UK are easy to obtain. However, certain city locations can be more difficult than others, so NEEDaFIXER LONDON (See Filming in London) would ensure that permits are chased up, and are in place ready to film. The work visas needed by your crew will vary depending on the country they’re from and the role they’re undertaking. For example, if they’re doing studio or pre-production work, they’ll need a work visa if they’re from outside the EU, whereas those coming over just to film on location might not require a visa. Our experienced team would be able to advise on visa issues, and ensure everyone has the right paperwork so they can start work. Some of the most famous movies filmed in the UK include many of the James Bond movies, the Harry Potter series, both the old and new Star Wars films, and the Bridget Jones movies. Many major film productions were based in the UK. Recently, you may have seen Miss Potter, a movie about Beatrix Potter filmed in the picturesque Lake District, or The Theory of Everything, a Stephen Hawking biopic that used the grand colleges of Cambridge University as a backdrop. Many TV shows that are famous around the world come from the UK. For example, Dr Who is often filmed around Cardiff and London, while Downton Abbey was filmed in Highclere Castle in Derbyshire, which made for a grand backdrop. The UK has several major film studios where blockbuster movies have been filmed, including Pinewood Studios, Elstree Film Studios, and the Warner Bros. Studios in Leavesden. What can our fixers in the UK do for you? Filming in the UK is usually very straightforward, with lots of professionals in the industry, and excellent facilities available. NEEDaFIXER UK have overseen many productions, both in the heart of cities and out in the countryside, so we can ensure everything is in place so your shoot stays on schedule. From sorting out permits and visas, to ensuring the equipment you need is ready from day one, we’ve worked with all sorts of productions to help them meet strict deadlines. If you’re planning on filming in the city, then our fixers in London can help source the right locations, and ensure your shoot is completed without a hitch. It can sometimes be challenging to film in such busy locations, and dealing with local councils can be time-consuming, which is why it’s best left up to us. Whatever you need help with, simply get in touch via info@needafixer.com, and we’ll be able to offer our expertise. The UK welcomes international and regional production companies, but it’s advisable to get in touch with an experienced location manager or a fixer in UK to provide you with the exact areas/boroughs/councils you’ll need to approach for permits. Particularly, when shooting in London it’s easy for borders for multiple councils to overlap on your location set and therefore you’d need to apply for multiple permits. Entry clearance is granted if you’re part of a film crew that is essential to the production. If you’re intending to do studio work/pre or post-production then you would require a work visa. However, if you’re employed overseas and you’re purely coming over to the UK for location sequences, you can stay in the UK for up to 12 months. There’s a wide variety of equipment available in the UK, but specialist equipment can be imported. It’s no secret the UK has very rainy weather, but they do have a standard four-season climate. Winters are usually grey and cold, spring can be quite chilly or mild and summer can be hot and humid when it isn’t raining.